The Easter Bunny is due to arrive very soon for one lucky raffle prize winner! 1. A beautiful contemporary framed print by photographer Emma Rodger and 2. a concrete Orb sculpture by Gary Brooks. 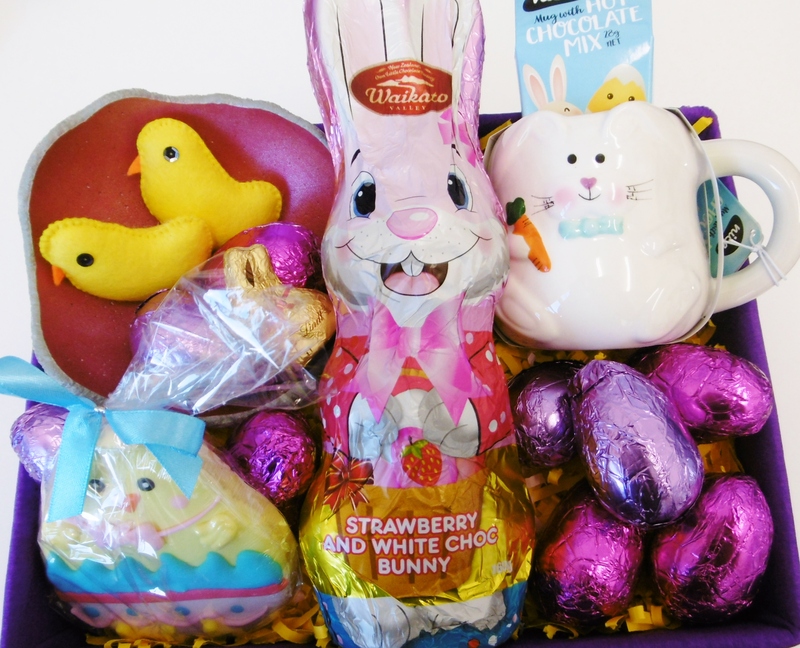 A variety of chocolate eggs and a Strawberry flavoured white chocolate bunny! Tickets are just $2 each or $5 for three, purchased from the front desk at CAN. The Raffle will be drawn on Thursday 18 April at 10am. The proceeds from the raffle will support the CAN and our mission to provide accessible and affordable arts opportunities for the wider community. Exhibitions, Workshops, Classes, Events! We have four spaces available to accommodate individual needs. Find out about all the creative events and exhibitions on at CAN. Do you have an arts event on in Napier? Send us the information and we will list it on our website. See whats on in and around Napier.